Sure, sports can be the most un-romantic of past-times. Especially when men sit in front of the television for hours and hours, week upon week, neglecting those around them. 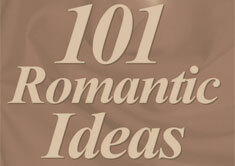 Here are some ways to incorporate romance into sports.